As the bad weather continues, many of us tend to hanker after warming comfort food. It’s a good time of year for traditional British dishes but if you’re interested in exploring some other types of hearty food, look no further than Poland. Given the large numbers of Polish people who have moved to the UK in recent years, many UK supermarkets and food stores stock a range of Polish products now. Polish cuisine shares some styles and ingredients of other Central and Eastern Europe countries. Many dishes tend to be hearty with a lot of cream, eggs and meat used – chicken, beef and pork especially. Polish food is a family affair and when big celebrations are coming, the food preparations are often part of those. Root vegetables, wild mushrooms, bread and sausages play a big part in Polish cuisine and, like other countries in the region, cabbage is a big staple too. Soups are a major part of the meal in Poland. Some of the most popular ones include Borsch, the beetroot soup; goulash soup; sauerkraut soup; Zurek – a sour soup with egg and sausage sometimes served in a toasted sour dough bread; and tripe soup. 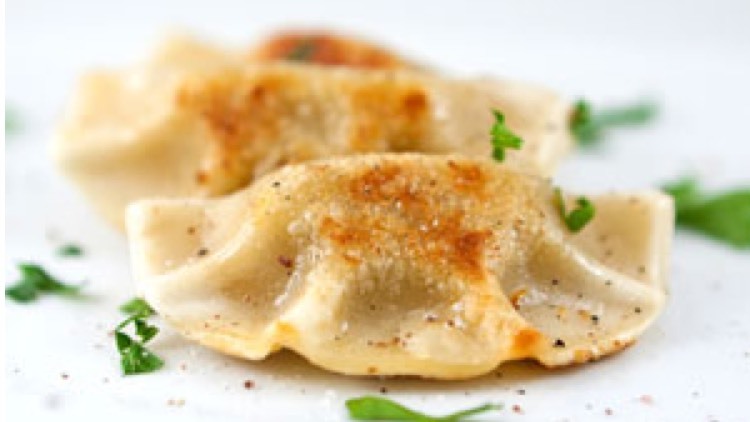 Pierogi – the famous Polish semi-circular dumplings made with unleavened dough. First boiled then often baked or fried in butter with onions. Pierogi come in a huge variety of fillings like mashed potato and cheese, sauerkraut, fried onions, mushrooms, and spinach. They are also filled with fruits like apples, cherries, strawberries, peaches, plums and prunes. Kotlet Schabowy – similar to the Viennese Schnitzel. Beaten pork loin, dipped in flour, egg and breadcrumbs and pan-fried. Often topped with cheese and mushrooms and served with mashed potatoes and fried sauerkraut. Bigos – a traditional hunters stew. Many families have their own special recipe for this dish and typical ingredients include cabbage/sauerkraut, various cuts of meat and sausage, tomatoes, honey and importantly, mushrooms. Traditionally served at the start of the hunting season from autumn through to Shrove Tuesday, it works with any combination of game, beef, pork, poultry – even vegetables, for a lighter option. Bigos is also an excellent way to use up leftover cooked meats and it tends to be eaten with bread or mashed potatoes. Golabki – stuffed cabbage rolls. Lightly cooked whole cabbage leaves wrapped around minced pork or beef, onions and rice or pearl barley. Golabki are usually baked in the oven in a rich tomato or mushroom sauce. Zrazy – stuffed rolls of beef, similar to beef olives. Thin slices of beef are stuffed with a wide variety of fillings, like vegetables, mushrooms, and eggs, and secured with a toothpick. They are pan-fried to seal and brown then braised in the oven with root vegetables, spices and stock. Zrazy are also made with pork or veal.